Artist Nicole Duennebier is featured in online art magazine Wonderland to mark the opening of her solo exhibition View into the Fertile Country at 13FOREST Gallery on May 19. 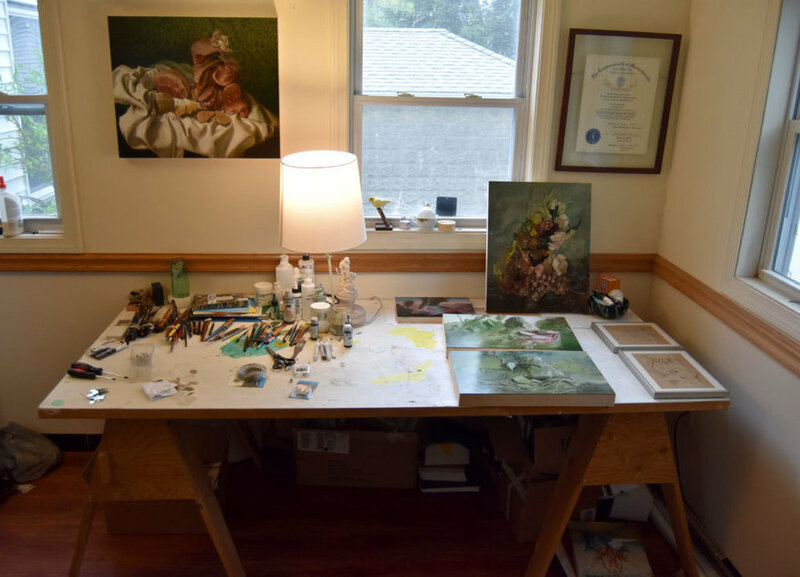 Writer Greg Cook visited Duennebier's studio earlier this month to get a sneak peek of the work for her upcoming show and to learn more about how her artistic process and influences have shifted in this latest body of work. Cook writes that Duennebier is "one of the most sumptuous painters around." Her latest work draws on 16th century Dutch still lifes and French rococo gardens, but also incorporates grotesque elements like mold and oozing meat. Duennebier explains that “Pushing people to find something attractive that they wouldn’t normally is always something I’m working towards. 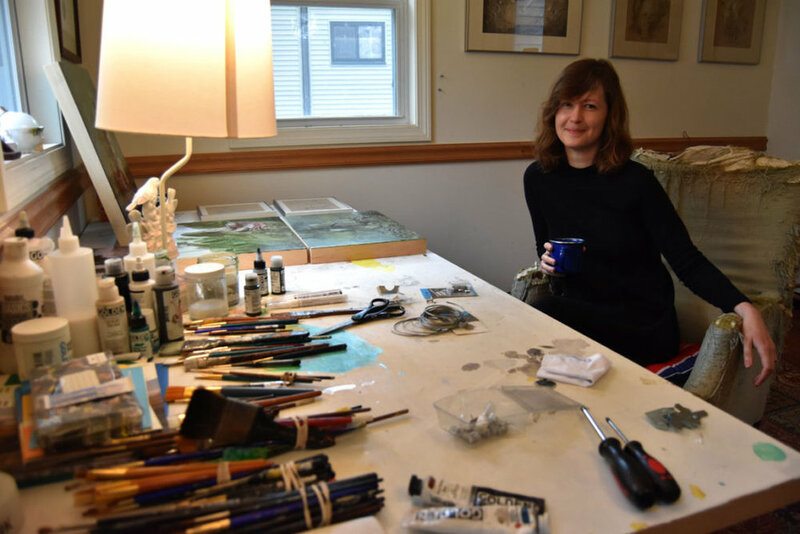 I think artists are always looking for something people haven’t found beautiful yet.” Read the entire profile of Nicole Duennebier here.